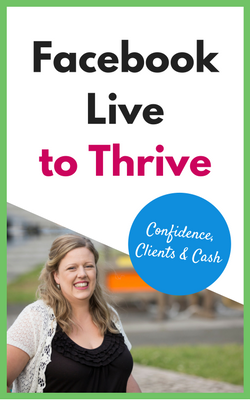 When I first started looking around Blossom Design Studio and getting an idea of Kimberly’s online marketing I was WORRIED. Kimberly clearly has her finger on the pulse of online marketing and understands the importance of fantastic, effective branding. What if I couldn’t offer her any helpful ideas? Of course, the more I looked around the more I realised I could. See the thing is, when you work on something for a long time and/or intensely you become immersed in it. Like working in your business, rather than working on it. So I wrote this post knowing I was the ‘fresh, independent eyes’ on an already great foundation. I hope everyone finds the suggestions valuable. Kimberly is very supportive of other tweeps on Twitter and is rewarded with retweets. 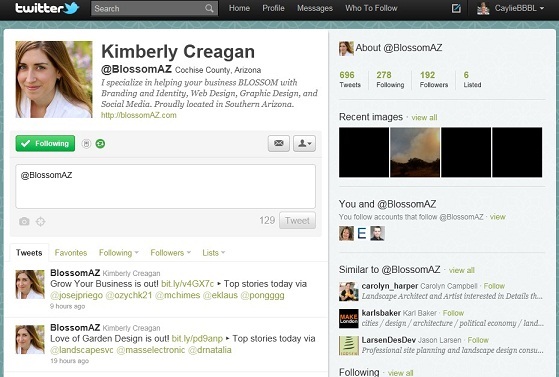 Blossom Design Studio also produces two daily online newspapers through Paper.Li which are then promoted on Twitter. Not only do @blossomaz followers receive curated content, they also have the opportunity for their blog posts to be included, reinforcing their engagement. 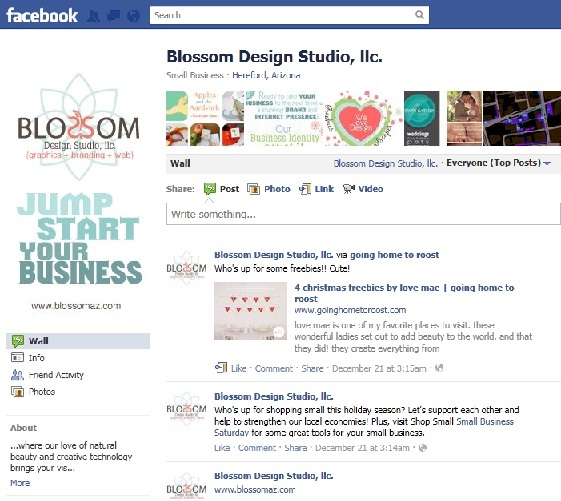 Blossom Design Studio’s Facebook profile picture displays Kimberly’s graphic design skills while having a clear next action for likers. Kimberly’s LinkedIn profile is very detailed and a strong central point for both her businesses (Twin Satori Photography will be reviewed in the coming days). It covers her extensive and diverse professional activities as well as connecting to her other online presences. 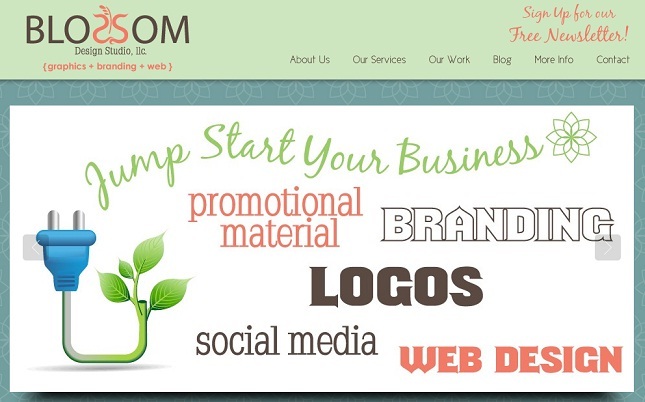 The website is beautiful to look at and is consistent with the branding in all other Blossom Design Studio online activities. Research suggests between 15 and 20 tweets per day are best for adding value for followers and increasing brand awareness. 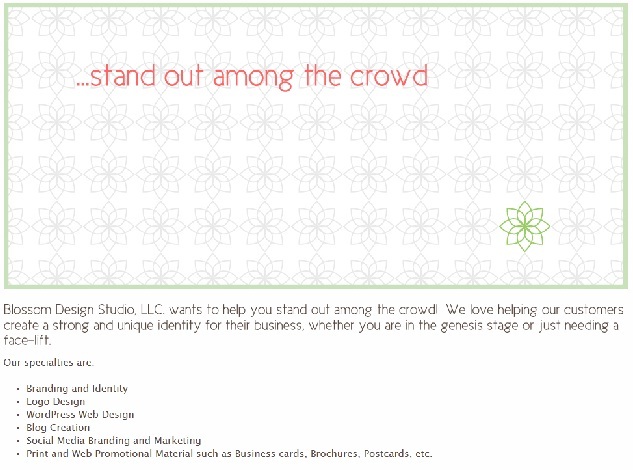 Blossom Design Studio currently averages between two and three. Kimberly could increase frequency with minimal time invested using BufferApp or Hootsuite to schedule some of her tweets. 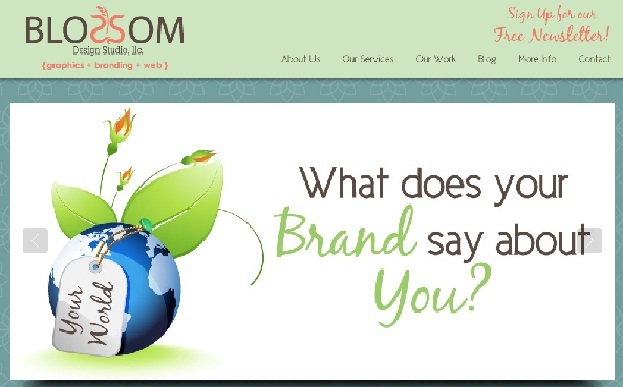 Blossom Design Studio offers a branding and website design service however much of its online content is text based. A variety of media should be used to demonstrate expertise. Kimberly had a two month break from updating Facebook without advising likers. Twitter chats are a great avenue for Kimberly to grow brand awareness and demonstrate her expert knowledge and skills. Two she could start with are #blogchat and #pinchat. The store on Blossom Design Studio’s website should be altered to allow visitors to pre-purchase Kimberly’s services. This would assist in capturing conversions while visitors are feeling motivated after reviewing the site as well as streamlining client accounts. If Facebook page owners are aware of events or issues that will cause a lack of updates in advance they should prepare their likers. A simple update, preferably with a date of return, is all that’s needed. Blossom Design Studio content needs to incorporate more videos and images given their potential clients are seeking ‘visual representation’ of their businesses. Kimberly may like to use Instagram to publish images from her iPhone. Automated tweets can then be set up for sharing on Twitter. The Google+ consumer base appears to be professionals and service providers at this stage of its development. Blossom Design Studio needs to be an early adopter to establish itself as a leader in its field before the market becomes saturated. Would You Like Your Online Efforts Reviewed? 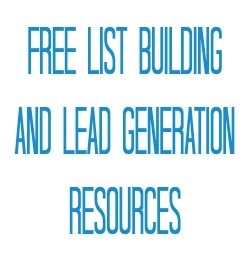 Maybe you are new to online marketing? Maybe you’ve been busy and want someone to take a fresh look? Maybe something is bothering you? Whatever the reason Better Business, Better Life can help you. 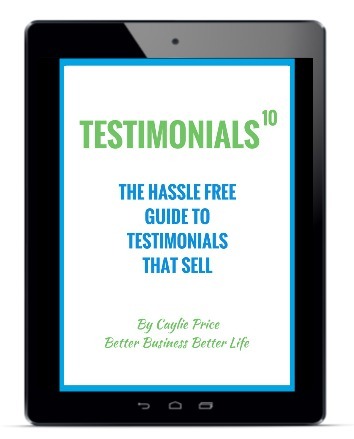 To find out more contact Caylie on +61 428 271 812 or email caylie (AT) betterbusinessbetterlife.com.au.